Home MoreToCome BEAR: THIS IS JUST A WARNING! MORE TO COME! BEAR: THIS IS JUST A WARNING! MORE TO COME! YESTERDAY, UNITED STATES MAIN MARKET INDEXES WAS CRASHED, 2 INDEXES NAMELY NASDAQ & SP500 SLIP INTO BEAR TERRITORY! ITS BEEN A LONG TIME I DID NOT COVER THE WORLD MARKET INDICES! OK, BEFORE MOVING INTO THE MAIN HIGHLIGHT, JUST WANT TO SHARE WITH YOU GUYS SOME COMMODITIES AND FINANCIAL INSTRUMENTS THAT HAVE SIGNAL WEAKNESSES IN THE GLOBAL FINANCIAL MARKET AND GLOBAL ECONOMY. 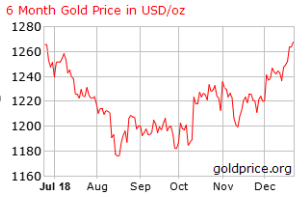 INVESTORS PURCHASED GOLD FOR HEDGING PURPOSE AGAINST OTHER ASSET CLASS DUE TO ITS "SAFE HEAVEN" CHARACTERISTIC. THE GOLD SURGED SINCE THE DOW JONES FORMED A DOUBLE TOP PATTERN. DESPITE OPEC AGREE TO CUT PRODUCTION, THE BRENT CRUDE OIL SLUMPED ECHOING THE WEAKNESS IN THE GLOBAL FINANCIAL MARKET AND SLOWING ECONOMY. IN ADDITION, THE BRENT CRUDE OIL BROKE THE UPTREND LINE WHICH FORMED SINCE THE RECOVERY OF OIL PRICE IN 2016. VIX IS A POPULAR MEASURE OF STOCK MARKET'S EXPECTATION OF VOLATILITY IMPLIED BY S&P 500 INDEX OPTIONS. IT IS LIKELY TO BREAK 52 WEEKS HIGH (38.80) WITHOUT ANY RETRACEMENT BEFORE TESTING THE 2015'S HIGH (53.29). 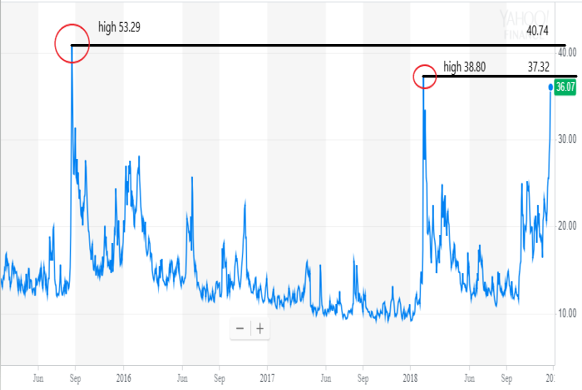 TO RECAP, THE VIX SKYROCKETED EARLY THIS YEAR DUE TO "TRADE WAR" BETWEEN US AND CHINA. THERE ARE FEW MORE COMMODITIES, FINANCIAL INSTRUMENTS AND ECONOMIC INDICATORS ALSO SHOWN THE MARKET AND ECONOMY HAD TURNED BEARISH. IN FACT, JUST BASED ON THE PERFORMANCE OF STOCKS AND INDEXES, WE ALREADY KNEW THE US, CHINA, HONG KONG AND EVEN MALAYSIA (NOT INCLUDING KLCI COMPONENTS) MARKET HAD TURNED VERY BEARISH. 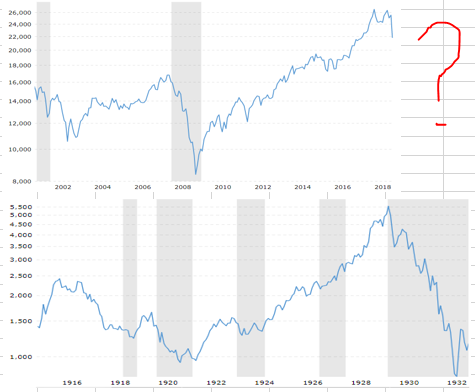 TARIFF (TRADE WAR); SIZE OF THE US NATIONAL DEBTS AND THE CURRENT ACCOUNT DEFICIT; AND TIGHTENING MONETARY POLICIES (FED INCREASED RATE) DESPITE THE GLOBAL ECONOMY WEAKENING ARE SUFFICIENT TO PUT US' ECONOMY AND GLOBAL ECONOMY INTO RECESSION AND DEPRESSION! THE COMING ECONOMIC CRISIS MIGHT LOOK LIKE THE DEPRESSION 1929. 4. STOCK MARKET IS OVERHEAT. "VALUATION, WHO CARES?" DISCLAIMER: NOT BUY OR SELL CALL, IT IS JUST FOR EDUCATION PURPOSE.